Been diving in Malaysia? Please Vote! Malaysia is a scuba diver’s dream located in one of the best diving areas this world has to offer, the legendary Coral Triangle. South East Asia is a fantastic area to visit for an abundance of reasons, from interesting cultural experiences to exotic foods, beautiful beaches and lush forests, and Malaysia lies is in the heart of all this excitement. The Coral Triangle is considered to be the centre for marine biodiversity and as such is a protected area that boasts an abundance of marine life. By land, Malaysia borders with Indonesia, Thailand and Brunei and by sea it borders Vietnam, Singapore and the Philippines, so it is extremely well-connected with the other diving hot spots in that part of the world. The two land regions of Malaysia are Malaysian Borneo and Peninsula Malaysia and these are separated by the South China Sea. Malaysia boasts a high level of diversity both above and below the water’s surface. On land, Malaysia is rich in all sorts of animals including exotic reptiles, birds, frogs and bugs and actually accounts for nearly 20% of all animals in the world. The mountainous region of Malaysia is covered in dense forest and boasts magnificent green hills and valleys that extend far along onto beautiful coastal plains. Malaysia is also famed for hosting the largest cave system known to man, the Mulu Caves in Sarawak, Borneo. These caves were originally just igneous and granite rocks and have been shaped by the courses of many rivers to now be a system of caves visited by millions of tourists. Many endemic species of fauna and flora can be found in the region, with a great deal to explore on foot before heading to the depths of the warm waters. Once in the water, an abundance of different fish species will astound you and add an extra splash of colour to an already-colourful and interesting underwater landscape. Malaysia is a destination famed for its fantastic scuba diving opportunities. The diving here is sure to surpass all expectations with warm waters, phenomenal visibility and a rich variety of underwater life. The underwater topography is hugely varied here, with pinnacles, caves and dramatic walls all within close reach of each other, not to mention pristine coral reefs teaming with unique underwater life. 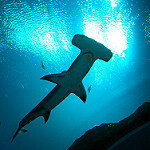 Turtles and sharks are often seen and critter diving is also on offer in some locations. Malaysian Borneo easily earns a nomination in the contest for the world’s best scuba diving destination. It boasts a plethora of coral species in immaculate condition thanks to well-protected environments. It is also home to a large number of pelagic species and a diverse range of marine creatures that thrive in the nutrient-rich waters. Schools of fish, turtles, manta rays and a number of shark species are often amongst the highlights seen in Malaysian Borneo. In the Sabah Province, Layang Layang and Sipadan Islands are known hot-spots for hammerhead sharks and reef sharks specifically. Hammerheads often school in the depths of these waters during the months of April through to August, which is when many visitors flock to the area. The strong currents still allow for excellent visibility and the conditions are often only suited to advanced divers. Sipadan is another area that is famed for unbelievable variety in marine creatures, especially some of the large and highly sought-after pelagic encounters. 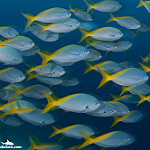 Visibility is off the charts in Sipadan and is often in the region of 40 metres with very little current to speak of. 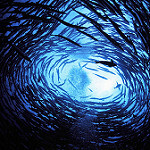 The main exception to these mild currents is Barracuda Point, a popular dive site where barracuda in their thousands can be seen swimming as schools in the area’s strong currents. Aside from the barracudas, another highlight is the regular reef shark and leopard shark sightings in the waters surrounding Sipadan. The reefs are well-protected by enforced diving restrictions, so divers are recommended to book in advance, especially during peak season. If you hold the correct certification (which can be obtained whilst in Malaysia), enjoy exploring the cavern systems in Turtle Cavern and Turtle Tomb nearby. Muck diving enthusiasts won’t be missing out when visiting magnificent Malaysia either as there are plenty of muck diving opportunities too! Many sites can be visited from the shore and are relatively shallow shore dives in the region of 15 metres. The currents are mostly insignificant in the area, and with a number of sites located off shore, these mild currents make for an easy boat ride out. Conditions are often ideal for underwater macro photography opportunities and divers are likely to see a number of colourful nudibranchs only too willing to be a great subject for a memorable picture. 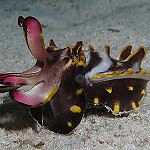 Odd-looking creatures including the giant frogfish, mimic octopus and flamboyant cuttlefish can all be seen around the islands of Kapalai and Mabul in the State of Sabah (Malaysian Borneo). Sunset dives on Kapalai island is very popular thanks to the vibrant Mandarin fish mating ritual done near Mandarin Valley. As if that wasn’t enough excitement, a number of elusive ghost pipefish have been spotted in the area too. Malaysia is well-connected internationally with major airports in Kuala Lumpur, Kuching and Kota Kinabula. From these airports, visitors are able to reach the diving hubs of Sabah, Sarawak and the Peninsular of Malaysia. To reach Malaysia from the UK and Europe takes around 12 hours with many visitors choosing to stopover in Dubai, Doha or Singapore. For domestic connections, there are a number of smaller airports offering internal flights to a variety of destinations spread widely throughout the two regions. Air Asia, Malaysia Airlines and Malindo run many of these frequent flights. Malaysia also boasts a well-developed road transport system, with trains and busses available from Singapore and Thailand and good internal bus connections within the country too. Rental cars are a popular option and are freely available in a number of locations. Many divers opt to advance their qualifications in the ideal conditions found in Malaysia and with great training centres scattered all over the region, it is easy enough to do. Speciality courses, technical diving courses and all levels of recreational diver training are possible in Malaysia. The Turtle Tomb cave system is well-worth exploring and many visitors opt to receive the cave and cavern dive training whilst on holiday in Malaysia. A few dive centers have achieved 5 star status from PADI and are reputable ventures associated with industry giants such as the National Geographic. Good options include those centers that run daily tours to Semporna Marine Park, where visitors are treated with visits to the world-famous areas of Sipadan, Kapalai and Mabul. Peninsular Malaysia is also a popular choice amongst divers, especially when you consider that the 30 sites around the area are easily accessible by guided boat trips. These boat trips run daily and can be arranged directly with the many highly-acclaimed dive operators in the region. A number of dive centers are available on Tioman Island, serving the sites around Salang Bay and the ABC beach as well as offering training opportunities and daily guided trips. Malaysia has two distinct rainy seasons, one from April to October for the south-west region, and one from October to February for the north-east region. Aside from these annual rainy seasons, Malaysia is generally humid and experiences high air temperatures in the range of 25-32°C. Water temperatures are very pleasant throughout the year and can be between 26-30°C. The dry season boasts better underwater visibility which can reach an impressive 60 metres. Feeling inspired and raring to go? Check out our Malaysia travel guide and start planning your next diving trip! Big Pelagics! Extensive marine life with lots of fishes everywhere… Big corals and turtles. Diving in Sabah is great. 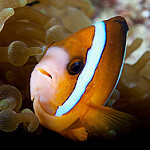 Diving in Siamil is excellent for macro critters and an alternative to Mabul and Kapalai. 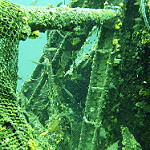 Labuan wreck diving is great. The previous night (17/08) we will be on Tioman Island, so we won’t need the transfer form Singapore. Could you organize a boat trasfer directly from Tioman Island to your resort od do we need to go back to Mersing? We would like the entry level room. 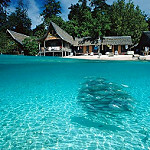 Hi, May i know is there any snorkeling or divind package in Pulau Aur for 4D3N? So far we have 8 people, and how much is the packages? Which resort we will staying ? We are a travel agent based in Selangor with a branch office in Johor. We would like to cooperate with you. It is a pleasure to receive a cooperation from you. Any diving options available from Aug 31 – Sep 3? I am travelling there alone and would like to dive 3 or 4 times. Hi! Is there space to do an advanced PADI cert or leisure diving from this Friday, and how much will it cost? I have some clients keen on coming to Brunei early next year and I want to put some packages together for them. Pls could you send me your rates for accommodation, transfers, dives, meals etc and pls advise the commission. Hi can you send the quotation price for snorkeling trip 6-8/10/17 for 4 person? Me and my Sister are from Singapore and we will like to go Pulau Satang Besar for snorkelling over this weekend 16th or 17th Sept 2017. Just snorkelling for both of us, no diving. We will be staying at one of the hotels in Kuching town centre. Please let me know the details, terms and conditions. Am rachid from Morocco a rescue diver am looking to be a Dive master and for that am looking for internship. I do speak several languages : Arabic , Moroccan, French and English and a bit of Malay and a bit of Spanish. I have 32 dives logged so far, I would love to know how it’s work if I wanna get internship at your Dive centre, am a very active person, open minded l, have experience in different fields and most important one that I can handle costumers and please them. can you quote the price for Open Water Diver course on Jan18? Hi, I would like to participate in scuba diving/ reef net clearing. Would december is a good time to dive in Miri? I am looking at 6-10 Dec.
I’ll stay few days in Miri in 2 weeks and I’d like to know if I can make 1 (maybe 2) dive with you, the 14th of February. I’m a 3 stars CMAS diver (from French federation). My girlfriend and I will arrive in Miri tomorrow and just saw “Diving Spot” on our map. Googling, we found you. Would it be possible to dive with you guys some time in the next couple of days? And if so, how much would that cost us? I’d like to know your diving and accomodation package rates. I’ll come to Miri from april 30th to May 4th. I’ll arrive tomorrow in Miri. I would be interested in a double or triple dive. As well what is the price for the emergency efr cours? I would love to go diving with you tomorrow. Will there be a possibility? I would go for either two or three dives tomorrow. I will get to Miri tonight so I have to sort the options out before. Thank you! My boyfeiend and i are intrested in one dive. For the 28th of july in the afternoon. We are by bus at 10 maybe. Do you have a spot for us open. And what are the costs? Thank you dor a reply. Hi there, my sister and I will be arriving on October 1st and we would like to dive on OCtober 2nd and 3rd. How much is the cost for 2 people and do you have any specials going on right now? Also, what is typically the condition to dive the first week in October in Miri? I know it’s close to moonsoon season. Hi, I would like to visit Pulau Aur on 14-16Sep2018 with a group of people at 6pax. Please advice your room availability for twin sharing at x3 for 6persons. Please share me your quotation. Hi, may I know if there is available hotel for Pulau Aur/Dayang on 14-17 September? Hi, may i know if there is room for 2 on 14-17 September? Will you run IDC courses on late January/February 2019? How much is the final cost (including materials, fees, etc.)? Are food and/or accommodation included? Do you offer internship to reduce the formation costs and how long are they? I’ve been working as Divemaster (guiding dives and conducting DSDs) in Dominican Republic, Spain and Italy since 2016. As I mentioned above I’ll be available from mid January next year so we have plenty of time to organise everything with no rush. Let me know if you need any other information about me. I hope to hear from you soon and I thank you in advance for your kind attention. My name Nazrin Arif from Chemsain Kosultant Sdn Bhd Kuching and we are currently conducting a study on Marine Activities within the Exclusive Economic Zone. This falls within the waters of Miri and Bintulu. I would like to ask you several questions regarding diving activities in the area. It would be great if you could provide a contact email or phone number to establish communication. Thank you for your attention. Your cooperation is deeply appreciated. do you have accept the beginner divers? I am interested to sign up for the openwater course. Can I confirm the price of the course? I would be coming in around March-April 2019 period. Hi we are a group of 6-8 people would like to inquire on the 4D3N package on 22-25 march. we would like to do snorkeling. can u provide price and details pls. Hi, just want to ask about basic training for dive for open water. How much tuan? hi.may i know if u do provide any diving package for single diver? thanks. Hello, what is the price of your advanced diving programme? This is Shy Teng from GAD – Go Asia Diving, travel agency from Batu Caves, Selangor, Malaysia. As title, we would like to seek for business opportunities and collaborate with Atlantis Bay Resort. HI I am Anne and I am looking into an option to do my dive instructor course on Borneo. Regarding the course as I did my DM 1,5 years ago and haven’t been diving a lot since than I was wondering if there is a package where I can dive with you maybe 2-3 weeks before starting the IDC? Also when would the next IDC course start? 1) Does your diving centre provides any leisure/fun diving packages for NON PADI open water certified divers. If so, may I enquire more details such as the prices and package available? 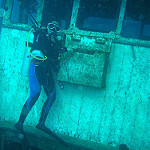 I am looking at 1 day fun dives / 2d1n diving packages. 2) I will be traveling alone for this coming trip. Would like to check if there are any additional cost I have to pay? Thank you for your time in reading my enquires and I’m looking forward to hear from you!